The department has found significant numbers of Brown Marmorated Stink Bug (BMSB) on arrival in Australia in various types of goods arriving from Italy. 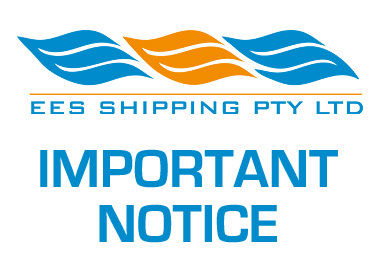 The department has recently reviewed the risk of failed offshore treatments of goods shipped via sea cargo from Italy with detections of live insects including BMSB. To manage the risk posed by these goods, any sulfuryl fluoride treatment certificates issued by ANY Italian treatment provider that is presented to the department from 9 March 2018 will no longer be accepted. Any Italian goods shipped on or before 30 April 2018 will be required to undergo an approved BMSB treatment onshore unless they have been treated offshore using an approved BMSB treatment. Treatment certificates for approved BMSB treatments, other than sulfuryl fluoride, from Italy will still be accepted. Note from Italy the only remaining treatment is Heat – at 50 °C or greater for at least 20 minutes. The minimum temperature of the coldest part of the treated good should reach at least 50 °C for at least 20 minutes. If you have any questions regarding this change, please kindly contact our customs team directly.